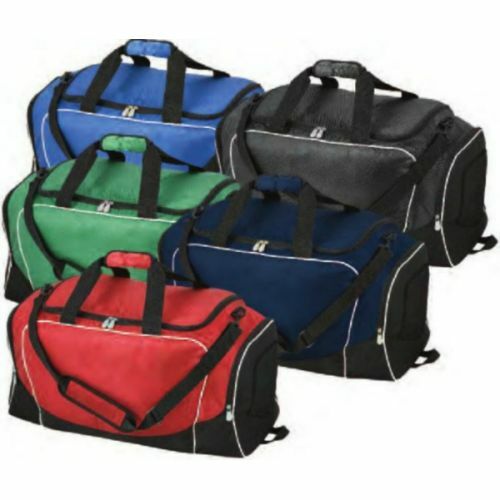 The Champion Sports All Sport Personal Equipment Bag is the perfect bag for every day use! Made of heavy-duty polyester, this waterproof polyurethane lined bag features a double zippered main compartment, and ventilated mesh end pockets for wet items. Complete with an adjustable shoulder strap and carry handles, the bag has a detachable pocket for easy embroidery or screen-printing.